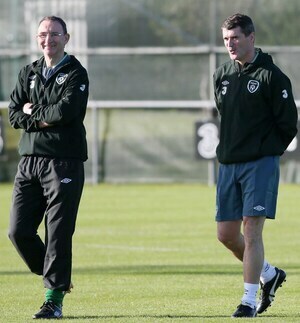  BREAKING: Martin O’Neill and Roy Keane have reportedly resigned from their posts in charge of the Republic of Ireland. 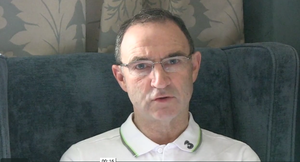 Posted in Misc and tagged Martin O'Neill, Roy Keane at 10:43 am on November 21, 2018 by Aaron McAllorum. Can this please be the end of [redacted]’s involvement also? The financial involvement ended 6 months ago. However, Delaney and redacted remain as thick as thieves (and to be clear, that’s just a saying and I’m not accusing anyone of theft). are you accusing them of being thick? It is with regret that Aer Lingus informs you that the Concierge Level Executive Lounge Facilities which the Irish football team has enjoyed on a Corporate basis in the past have now been withdrawn. As you know Concierge privileges such as lounge access away from the hoi polloi are awarded on the basis of miles flown on a regular basis. Our most recent accounts show that the FAI has earned insufficient miles travelling to major sporting competitions in recent years and thus your membership is now being downgraded to that of the lowest level, Green. This means officials and players from the FAI will have to mix in the public bar for a few aul’ scoops with the two or three fans who now travel with us on an irregular basis for away matches. Lounge access privileges will no longer be available until Ireland next qualify for a major tournament. May I suggest we review this arrangement in 2028 ? It would be good if they could get rid of delaney also, he is a millstone around the neck of football in Ireland. Would you leave the PL for us? Hughton would be mad to. Kenny is the name we reckoned on in work too. Can a man not have an internet husband now? I support your right to an internet husband, and will further support you if you’d like to adopt internet babies together. We’d be good parents I’d say. I’ve never hit my kids but I might make an exception in this case. ‘Internet husband’? I worked in a place that had an office husband and office wife. They’d chuckle together and emoticon their emails to each other. At their birthdays or ‘office anniversary’, they’d get everyone to cough up a fiver towards a present. Un-fuppin-believable. Way worse than Facebook couples. are you suggesting Bertie and I should set up a gofundme page and get you all to contribute ? @Bertie: oh yeah, Barnabas was the hot, new flibbertigibbet you used to forget me. Remember that I loved you first and best…you scoundrel! Not many but Fabio Capello won La Liga titles in two separate spells at Real Madrid and Tony Pulis was much more successful in his second spell at Stoke. @Bertie: too little, too late. I always thought d’Angelo’s ‘Untitled’ was our tune. Kenny. Hughton, would (a) be taking a backwards step and (b) is a very pragmatic and somewhat defensive minded manager anyway. Which is what we don’t need. I say that as a fan of Hughton, and think he is an outstanding coach. Kenny, and also some proper development plan for the league and underage is what is badly needed. We shouldn’t be looking at the next Euros, or World Cup 2022. 2024-2030 should be the focus. A long term project, to develop, teams, players and coaches domestically and it can only help the national team. The best players can still go abroad, but the league should be able to field some players. And Delaney, and the rest of the FAI board out. We should be looking at the next UEFA Nations League. We’ve dropped to League C and, if I understand it correctly, will be in a group with Romania, Montenegro and Macedonia (this may be subject to change or an open draw for League C or whatever you’re having yourself). There’s no reason we can’t collect a bag of wins there with a decent manager and some time to prepare. they’re doing the euro 2020 draw in dublin next month. good time for a protest if you’re that way inclined. Why are people so hot for Kenny? Kerr was a manager with a much better international track record than him and he lost the dressing room in about 10 seconds flat due to having zero experience in top flight management. Kenny would be no different. Kerr managed a better class of players than we have now so they were in a position to ignore him. The players we have now have nothing to show for their efforts at club or country. Kerr was booted out far too soon. Had he actually been given time, to work with what was a relatively talented group of players, in a transitional phase then I think we’d be in a better position now. No. I’m afraid that’s completely wrong. They had stopped playing for him and there was no chance of him winning the dressing room back. Shay Given, Steve Carr, Richard Dunne, Kenny Cunningham, Ian Harte, Andy Reid, Matt Holland, John O’Shea, Kevin KIlbane, Clinton Morrison, Robbie Keane. Subs: O’Brien, Steven Reid, Finnan, Kavanagh, Kenny, Elliott, Doherty. He’ll die in his own arms that eejit. that is so hot when a woman says it. I’ll stab a hole in your snare drum if I see you sniffing round Millie again Scottser. what i like most about you is your girlfriend, it’s true..
IS IT IN YET, JOHN? 6 hours of persistent begging is foreplay in my house. They must have been bad t’other night for both managers to quit. Who will be the ‘now Gaffar’?, said in a Staunton accent. Can’t have McCarthy again though, not after all that Saipan nonsence. If you replace the baker and leave substandard ingredients the cakes are still gonna be poo. It’s a question of degrees. No one is expecting miracles. But if the baker was rubbish then hopefully the cakes will at least be tolerable with a new, better baker. This analogy is making me hungry. I won’t say anything about the spiced dulce leche cake I’ve just put into the oven then. He’s a drummer, so I’m going to go with a WOMP WOMP. If Martin O’Neill couldn’t get some decent results or even some goals out of the current squad then no manager is going to be able. The problem is the grassroots side of things and that comes down to John Delaney. Delaney needs to go. Or we can splash out another few mill on another big name manager who will also flounder for a couple of years and we repeat the process again. If Delaney stays people should stop funding the FAI with ticket and jersys sales, the only thing that will force him out. Ranieri won the league with a team that had almost been relegated. Sometimes it IS the manager. get ready for sam mór mac allerdyce, lad. The thing is (or one of the things is) that under the management regime just gone, the Irish squad and set-up seemed, from an outside observer, to be a thoroughly miserable, bitchy, and dull place to be. This was not helped by the regular bad humour of the management duo. Players play better when they’re happy, glad t be involved, not stressed about getting a bollicking and see those around them giving their all and not engaged in petty disputes with the media. 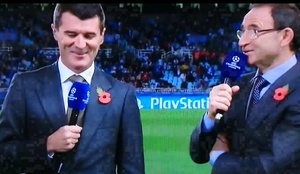 How many goals scored under O’Neill/Keane? Single figures surely. Bring Kerr back into the fold, not as manager maybe, (despite him having the highest win record), but in the scouting and youth sides – he was brilliant at getting the talent motivated about the Ireland set up and creating a desire in them to play for us. It’s extra fun if you poke Mick’s face with a mouse pointer a few times before he flinches. a bit fragile and jumpy after a big night ? Delaney out now or we’re doomed. Allardyce. wait till u see. nothing will fundamentally change at the FAI & as for Delaney he’s going nowhere, leave a gig that enables him to earn the guts of 1/2 mil?!? (and that’s just the lucre that we get to hear about) they’ll go for another big jack, trust me it’s Allardyce. Kids spend more time online in front of screens and indoors now than ever before due to various social and cultural changes that can have been ongoing and can be traced as far back as the 80’s. – Long story short, it has lead to issues like “helicopter parenting” and irrational fears of non-existant threats which have helped in creating an enviroment where kids don’t go out on the streets to just play for fun, express themselves, experiment and be creative and learn to play street football as Johnny Giles would say. We have a couple of generations full of obese drones playing fifa 19 and other online esports gaming though if you can enjoy that as a replacement sport. The premiership in engerland and other foreign leagues are not looking for Irish players as much anymore and it’s slowly been getting worse and worse for years now. Our dependancy on EPL players has led to the abuse of the granny rule at the expense of homegrown league of Ireland players who should have been given more chances to encourage a better long term investment strategy in the game in Ireland. – If you can’t create a healthy environment for this, like top class facilities and five-a-side leagues and tournaments in every county to inspire kids, then nevermind individual street footballing genius there is no hope of any improvement in the future without any visible path to success for the youngsters. So many bad managers, even Jack Charlton was a poor manager with absolutely horrendus tactics that successive managers and almost every team we’ve had can’t seem to shake off since. Jack had a great squad of talented, experienced and hard working players and a hell of a lot o’ luck a de oirish with draws etc. that nobody wants to remember. – Generations of long ball delusional bull shyte is not going to be easy to stamp out anytime soon. It is now part the FAI dna and encoded so deeply in our collective consciousness even future players not even born yet will be doing it in twenty plus years time, mostly out of unconscious instinct like being possessed by a powerful evil spirit from the miserable and shyte majority of past Irish football history. Brian Kerr was never treated with the respect he deserved nor given the chances or riduculous rremuneration others have had by comparison. In my mind his only fault was being too humble and an honest decent hard working sort of person. He needs to be given a job at some level to help fix this. FAI (F… -all Interest/intelligence/investment) Delaney, the board members, Denis (The Haiti (Clinton Foundation) Menace) a.k.a REDACTED, successive ministers for sport and governments. Absolutely and catagorically pure insanity and nothing of any lasting value in terms of growth and progress to show for it from the past twenty-five years… A generation lost and a wasted opportunity to be even just better than Iceland or Wales…. and have some hope of a positive growth in the medium to long term future. We have no respect for football(soccer) in this country like we do for GAA and how the elitist establishment has for rugby with the huge advantages of all the financial support and investment from the wealther few. Football is originally an english working class game and in Ireland maybe that’s why we are where we are with it…? Sack that gobshyte delaney and the board and put in modern structures of managment, accountability and oversight. No plan or strategy exists but none can work under the current regime. Even my better half knows this and the other day I was asked why Roy Keane isn’t playing since Ireland are so bad…. ?